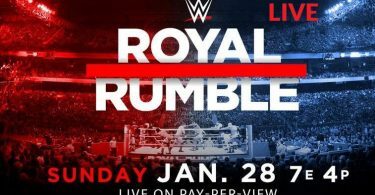 2019 Royal Rumble: 5 Most anticipated Potential Winners: The most awaited professional wrestling pay-per-view event and also WWE Network episode, 2019 Royal Rumble is going to start soon. The tournament will start 27th January 2019 at Chase Field in Phoenix, Arizona. 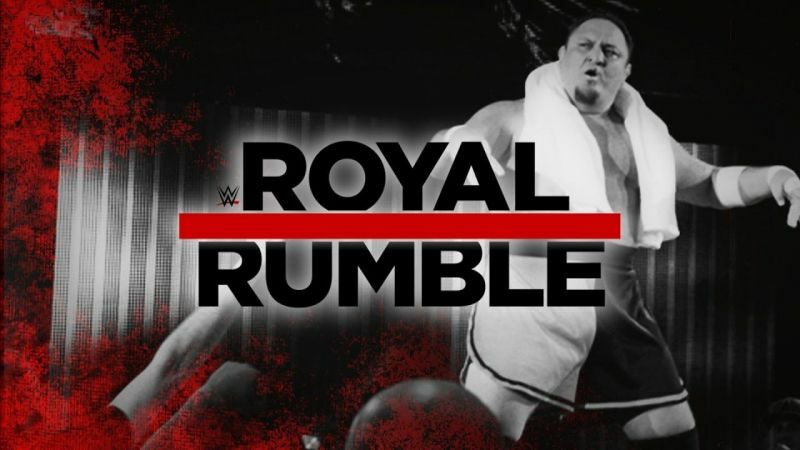 Every fan of WWE is excited to see the next Royal Rumble champion, so we have prepared a list of most potential winner of Men’s Royal Rumble 2019. Let’s have a look. Seth Rollins is an American professional wrestler who is currently signed to WWE. Seth Rollins is believe to be a superstar of WWE 2018 for the Raw brand and is also anticipated on the top of the list who can win this title, this year. Earlier signing with WWE, Rollins wrestled for Ring of Honor (ROH), under the ring name Tyler Black where he won the ROH World Championship one time and the ROH World Tag Team Championship two times with Jimmy Jacobs. He is also the winner of the 2009 Survival of the Fittest tournament. He is considered to be one of the best wrestlers amongst the other in WWE. This time too there are high expectations from him as he got the pest potential to win the tournament. All-time one of the greatest professional wrestlers and the champ of WWE have made a return to WWE at the beginning of this New Year. He is also the first wrestler superstar who made the announcement of his entry to the Royal Rumble match. Though, almost every wrestler announces their participation in the match but as compared to other roster, John Cena has a far better chance to win the match. In the 2017 edition of the Royal Rumble, John Cena has won his 16th world championship and secured WWE Hall of Famer, Ric Flair, for his renowned record of world championship supremacies. If the company wants John Cena to win his 17th world championship, then there is a great chance that WWE may possibly have Cena to win the Royal Rumble and competition for the WWE Championship at WrestleMania 35. With Daniel Bryan and AJ Styles as possible challengers, John Cena would be certain a great competition irrespective of who he faces in the fight. Drew McIntyre is basically a Scottish professional wrestler. He is signed to WWE, where he performs on the Raw brand. For the duration of his first contract at WWE from the year 2007 to 2014, McIntyre was a one-time Intercontinental Champion and one-time WWE Tag Team Champion. He has accomplished various titles outside of WWE, most remarkably with Impact Wrestling, where he was a one-time Impact World Champion as well as one-time Impact Grand Champion. McIntyre was involved in almost every single unforgettable program in 2018, comprising fights against The Shield, controlling the tag team division, and beating WWE Hall of Famer Kurt Angle in considerable manner. He is a two-time ICW World Heavyweight Champion with Insane Championship Wrestling (ICW) and also a one-time Evolve Champion, one-time Open the Freedom Gate Champion, as well as two-time Evolve Tag Team Champion with Evolve. Very few wrestlers get a chance to make their debut in WWE and very few of them made the most out of it. Similarly Mustafa Ali, who was one of the standout performers in 205 Live, but then signed to WWE as the main roster. He got a great debut match against Daniel Bryan. Before joining to WWE, he wrestled on the American independent circuit from the year 2003 to 2016. The company could have placed him in a dispute easily for the United States Championship, but they didn’t do it instead they gave him the chance to bring out a new star, all they required to do is to push him to his best. Being in Royal Rumble is a great opportunity for him as he has to fight against the top wrestlers of WWE and that’s where he can show his best talent and ability to the audience as well as to the other WWE contenders. But if he will win the match, then this will give him a great debut and he will enter his name in top most wrestlers list. Bobby Lashley is currently signed to WWE, where he performs on the Raw brand. He is also the present Intercontinental Champion in his first reign. For the duration of Lashley’s first contract with WWE, he was already a two-time ECW World Champion and one-time United States Champion. Lashley is also known for participating in Total Nonstop Action Wrestling/Impact Wrestling, where he was also a four-time TNA/Impact World Champion and a one-time X Division Champion as well as a one-time and final King of the Mountain Champion. In the middle of WWE and TNA/Impact, Lashley has attained total number of 10 championships and featured multiple pay-per-view events. He might be a good competition for other contenders in Royal Rumble.